One day after my shift at Eskulan I stopped in the old medieval centre of Tolosa on my way back to Zuloaga Txiki to pick up my repaired shoes and buy some cheese. I had been practicing a Basque phrase for about half an hour (gazta pixka bat mesedez = literally, cheese + a little bit + one + please) and mentally prepared myself to blurt it out. I was rewarded with a tasty wedge of semi-cured sheep cheese from the Idizabal region south. 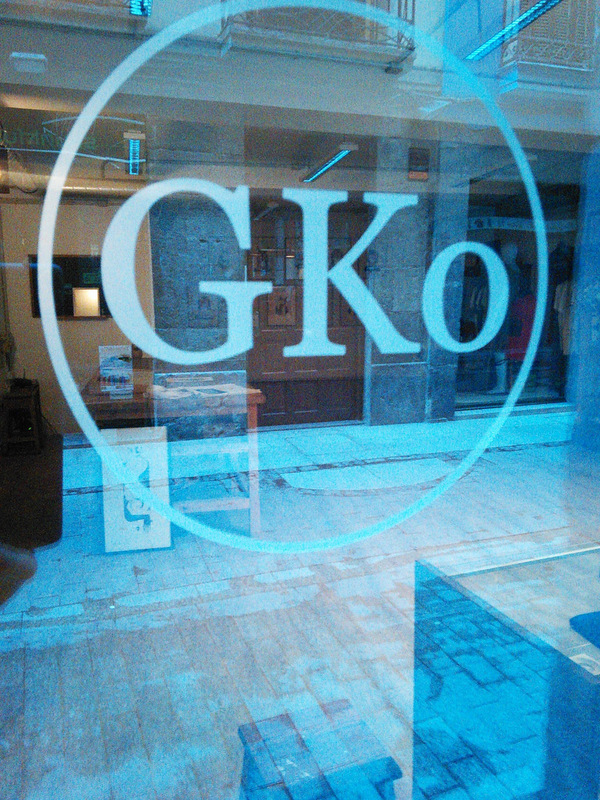 Looking into the GKo Gallery window. As I walked out of the deli, I saw that the GKo Gallery, which Brian at the Tolosa Tourism office had told me about, was open. GKo is a unique enterprise that sells work for some Chilean artists who in turn sell art by Basque artists. It’s name is a clever Basque play on words. 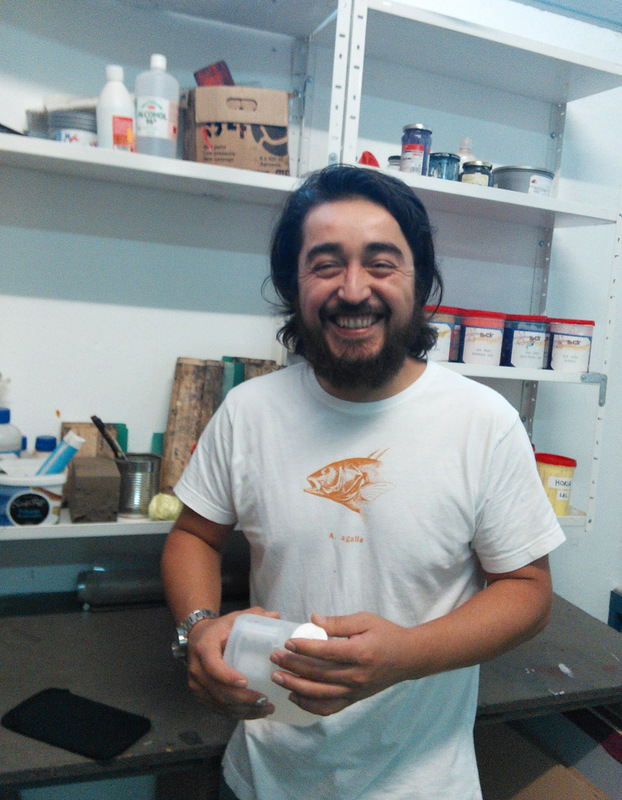 Garikoitz Cuitlahuac Murua Fierro of GKo Gallery & Boxa Arte Elkarte studios. His mother is Mexican, hence his Aztec middle name, so I found his Spanish much easier to understand than some of the Castellano I had been struggling with (I had first learned Spanish in Nicaragua). I was excited to learn that he works in silkscreen as well as murals. It’s always a pleasure to chat with one’s peers about a common craft, and we compared notes about various low-tech exposure methods. I had brought a silkscreen for Juan Barbé and had been wanting to find a way we could test out a sunlight photostencil exposure of his logo so we could do some printing on hand made papers. But for this I need photoemulsion. 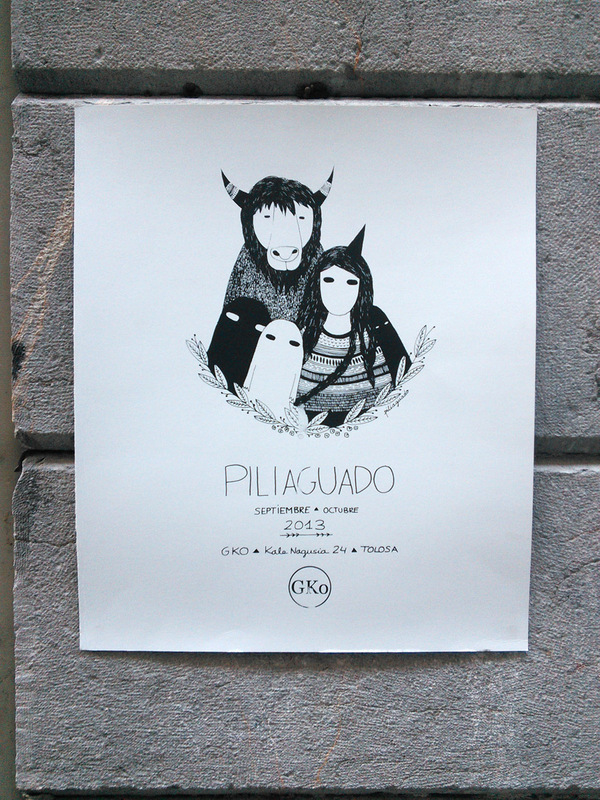 A lovely hand silkscreened poster produced by GKo Gallery at Boxa Arte Elkarte studios. Just as I was pondering the logistics of this, Garikoitz said if I only needed a little emulsion, he could get me some from the co-op studio he was part of. We arranged to rendezvous the next morning at the “cigarillo” pastry café by the music school and Tolosa Centro train station downtown – a short bike ride from the Zuloaga Txiki hostel where I was staying. He showed up on his bici and I followed him through downtown into an old industrial district where the Boinas Elósegui beret factory used to be. 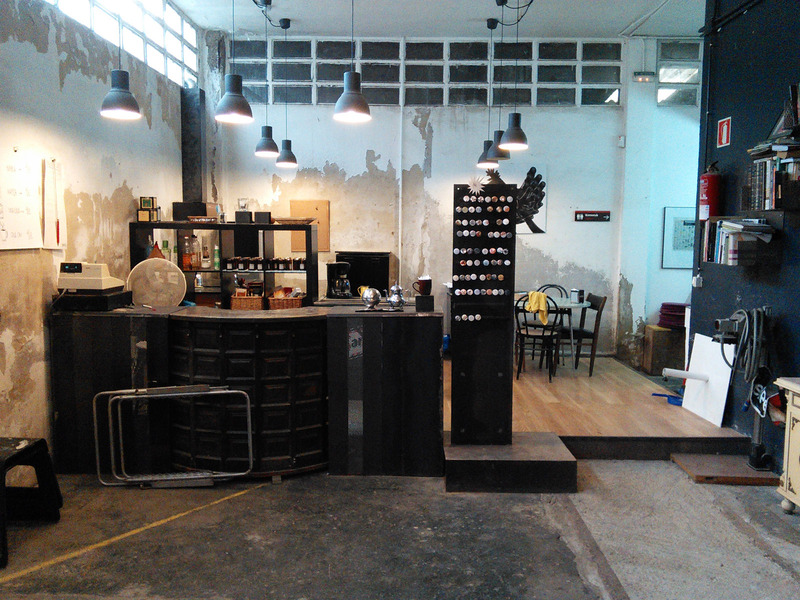 Eventually we arrived at the Boxa Arte Elkarte studios in an old warehouse. The town provides this space to a group of local artists in exchange for their participation in community projects and contributions to the culture of Tolosa. 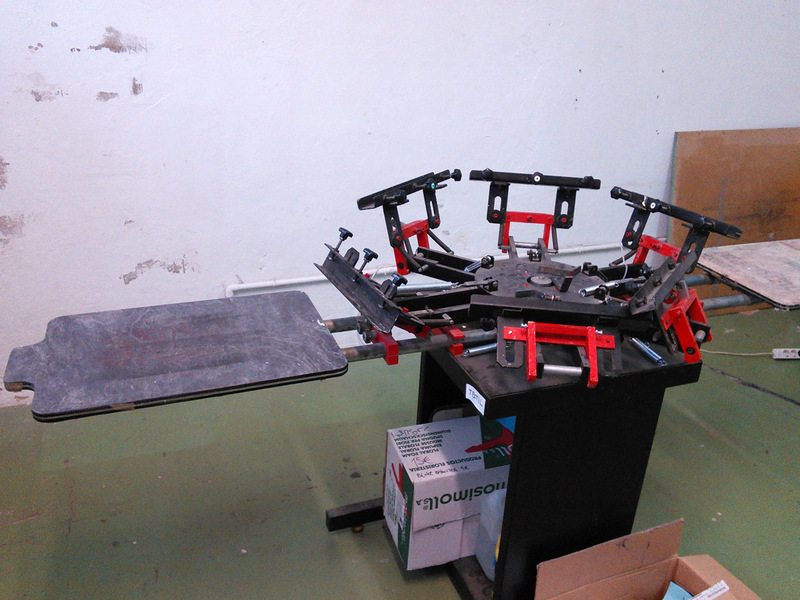 T-shirt screen printing press at Boxa Arte Elkarte studios in Tolosa. 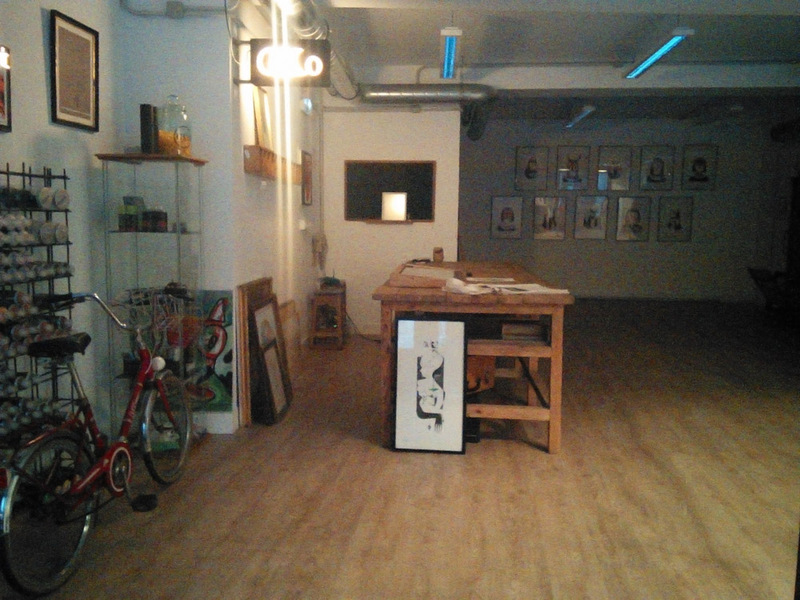 There’s a large shared studio space, a workshop, and a silkscreen printing studio, complete with a darkroom, exposure unit, washout room and a four colour T-shirt press. There are washrooms, showers, and downstairs, a kitchen and lounge that makes it possible for visiting artists to stay while working on a project. Very cool. The kitchen-lounge at Boxa Arte Elkarte studios. P.S. 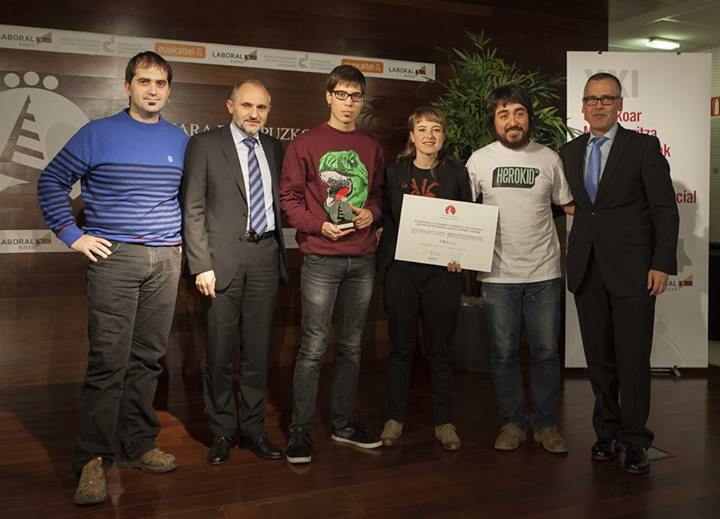 At the end of November, 2013, GKo Gallery won a Gipuzkoa business & tourism prize in recognition of their innovative work since 2008 – zorionak! ¡Felicidades! Congratulations! Director de Desarrollo Territorial de la Diputación Foral de Gipuzkoa, Pedro Iturbe, Director de Comercio del Gobierno Vasco, Jon Zarate, Aritz E. Murua, Kizkitza Lasa, Garikoitz C. Murua, Presidente de Cámara de Gipuzkoa, Pedro Esnaola. This entry was posted in art, Euskal Herria, Spain and tagged art, Basque culture, Boxa Arte Elkarte, Garikoitz Cuitlahuac Murua Fierro, GKo, Spain, Tolosa on November 12, 2013 by Bill Horne.